Discover how to take the mystery out of viral marketing to generate 114,485 leads in less than 30 days! 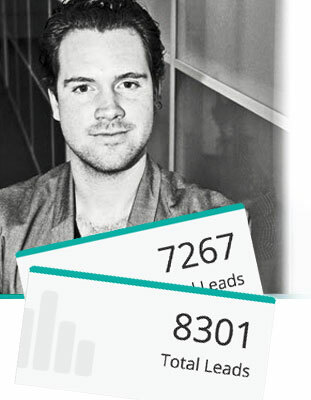 …tipped over 208,000 subscribers using UpViral! “UpViral is a wonderful tool that enables you to reach the skies of online marketing. 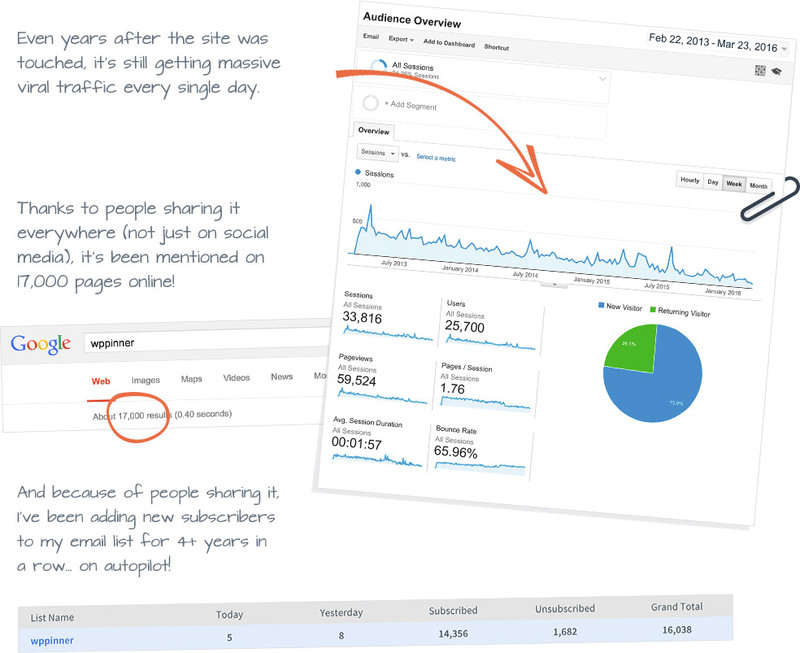 The results are amazing, the dashboard is user-friendly and the support is super helpful! “Before buying UpViral, I didn’t know what to expect, too many marketers promise big and under-deliver. I purchased UpViral and tried it out. 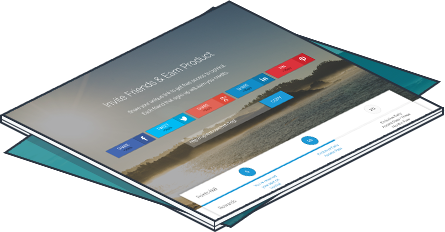 … if I compare its results to what I would have had to pay on Facebook to get those same leads! and landing pages is harder than ever. Unless you’re an SEO expert or have one on the payroll, forget about ranking on Google’s search results. Paying for traffic via ads and media buys only gets more expensive, especially on Facebook. Thus, increasing your risk and hurting your bottom line. Getting quality leads or subscribers is tougher than ever via the conventional “funnel” methods – and getting sales is even harder. Generating social buzz and traffic via clickbait, Youtube videos and other tactics can be iffy at best and hugely unprofitable at worst. Just try reading a business magazine or sites like Wired, Fast Company, or Mashable without coming across a mention of a major internet player or big Fortune 500 using “viral marketing” or “referral marketing” to rake in the big bucks. Viral Marketing (as well as “referral marketing”) is simply “word-of-mouth advertising”, taken to the next level. 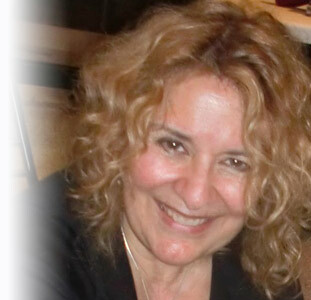 Word-of-mouth has been around since Roman times and has survived every paradigm shift in advertising through the ages. Let’s just say, it’s not going anywhere. Best of all… it’s usually free! People trust recommendations from friends and family seven times more than traditional advertising. Globally, 92% of consumers trust referrals and/or recommendations from friends/family above all other forms of advertising. Referred customers have a 16% higher lifetime value than customers acquired via other means, and they’re more loyal! How It Works in the Modern World. It’s obvious that viral marketing is here to stay. Dropbox was virtually unknown beyond “tech-nerd” circles a couple short years ago. Now they’re a data management powerhouse valued at over $10 Billion and growing! Like many others, they fell flat on their face. By offering them more storage space in return for referrals. Classic Viral Marketing in Action! The company rocketed from 100,000 users to over 4 million users in just 15 months – a growth rate of over 3900%! With virtually NO advertising budget to speak of. They’re not the only ones either. Many other brands you know, like Airbnb and Uber, have become household names using large-scale viral or referral campaigns too. Make This Kind of Noise? The big players drop huge budgets on staff, developers, and infrastructure – and keep “whacking at it” until something gives. Fully testing campaigns before scaling up. Unafraid to lose because they have the money to play with (and because payoffs are so big). You don’t have that luxury. 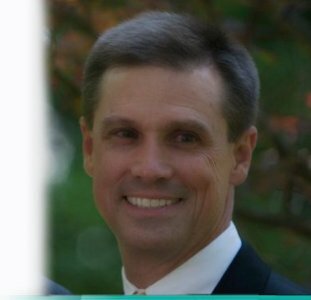 Pricey campaigns with no certain return? You’ll destroy your entire marketing budget if you’re not careful. 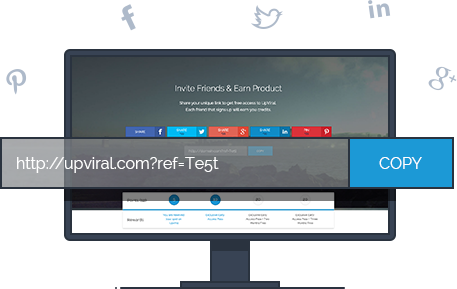 UpViral is a complete, dynamic web-based solution and referral formula that handles every aspect of viral marketing. Making it cheap and easy to build highly profitable marketing campaigns that leverage your visitors so your traffic compounds over time! No need to be a social marketing expert! No need to hire, train, and manage staff! No need to spend hundreds or thousands of dollars on complicated marketing tools and apps! Now anyone can launch a professional and effective campaign from any computer, tablet or mobile device… in just five minutes! Get All the Tools You Need to Build Compounding Viral Campaigns! Get your visitors to bring you even more visitors by enticing them with a cool giveaway or reward if they invite their friends! 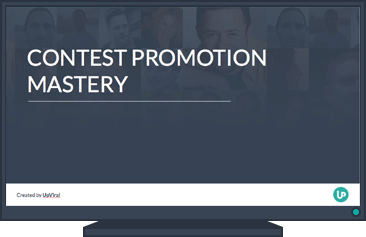 Put on a contest to promote your site, service or product via all social media channels in as little as 5 minutes! Create a promotional campaign that will bring you massive numbers of qualified leads – with little or no advertising needed! 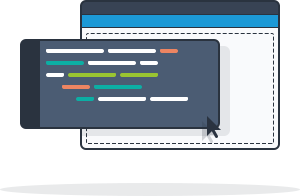 Just insert a snippet of code and UpViral integrates with your existing autoresponder, landing pages, templates and more! Nothing to download or install, use via any web browser! Compatible with Windows, Mac, Linux and even tablets or mobile devices! 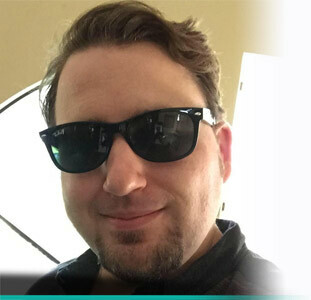 As a full-time online marketer since the age of 16, I’ve done everything from selling sunglasses to developing and marketing sophisticated software. 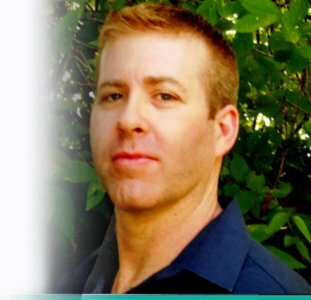 I’ve always viewed online marketing as a long-term career, but early on I realized that keeping the dream alive required constantly evolving my traffic strategy to generate the leads and customers I needed to stay profitable. You’ve heard the same story a thousand times, I’m sure. Every time I started getting consistent SEO results, Google would make some mysterious algorithm change and just cancel it out. Sending my sites back to the bottom of the search results. Or there was the time I was profiting from Adwords paid traffic and they shut down my account out of the blue for some unintentional policy violation…without even bothering to contact me. Man, was it frustrating! And it just seemed to get harder every year! I had to do things differently. No more putting all my eggs in one basket. No more depending on risky ad spends and shaky search engine updates. Inspired by Dropbox’s success, I decided to give viral marketing a closer look…and the more I learned about it, the more it made sense. Not only did this marketing approach drive free traffic, it was also the most profitable kind of traffic. After doing a ton of research, I set up a simple test. I created a two-page site with a basic opt-in form and gave subscribers an invitation link to share with their friends, promising early access to a product I was preparing to launch if they spread the word. My hope was the tactic would get at least a few people to share and land a few more leads for the launch. And as they say, the rest is history! Sure, I was hoping that this tactic would get at least a few people to share it and get me a few more leads for my product launch. But what actually happened floored me. People took the deal and ran with it. On Facebook, Twitter, forums, blogs… you name it! The results were in a word… phenomenal. I hope you can join us on our viral marketing journey and claim that same feeling for yourself too. 1. People opt-in to your viral giveaway or contest. 2. 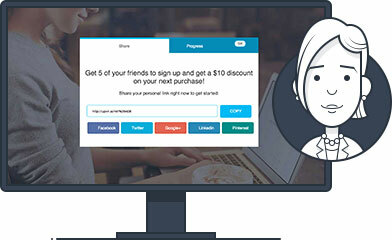 UpViral combines a unique referral invite link with structured incentives to create accountability, encourage sharing, and drive traffic. 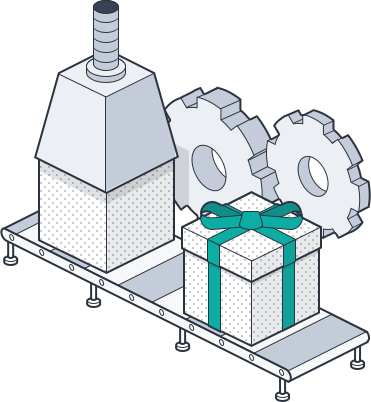 3.Shares are automatically tracked, giving you the power to create contests, sweepstakes, and giveaways that reward visitors the more they spread the word. 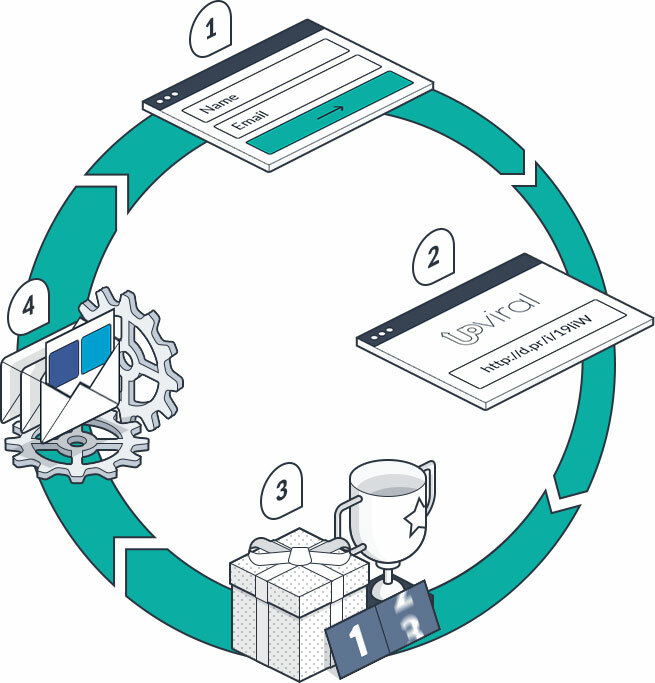 4.The system guides your visitors for you by emailing reminders, setting goals, and providing ongoing incentives to ensure they stay on track and deliver. 5.Then, the system takes off on its own and becomes a perpetual source of new leads that compounds over time! So, you start with a small initial group of subscribers. The system gets them sharing. The process repeats with each person… over and over again. Check Out These Case Studies in Action! Just a few months back, I set up a campaign to promote a simple Twitter tool. 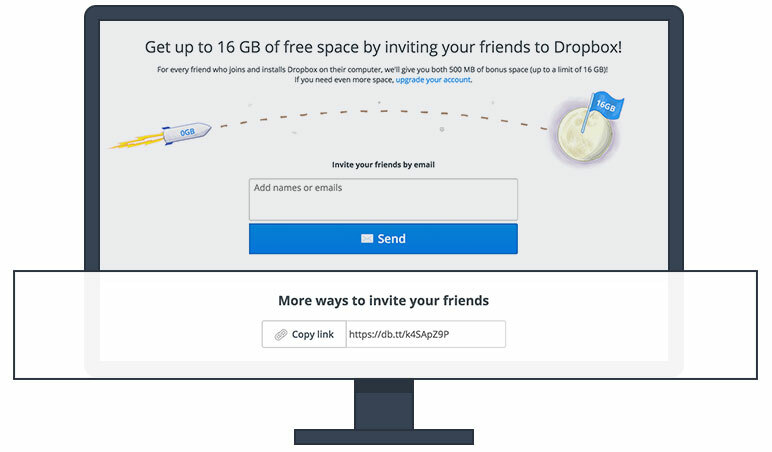 In order to get access, all visitors had to do was invite five friends to sign up too. I used Facebook ads to send 385 visitors to the offer page, resulting in 13,200 email subscribers (and counting). Because these people are actively sharing the offer, and their friends are doing the same thing, the number of signups continues to exponentially increase. 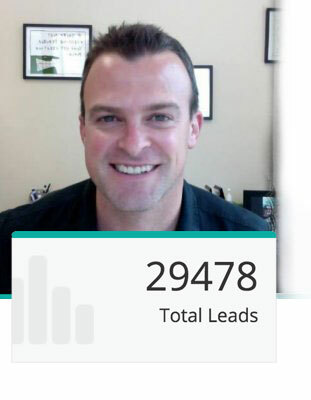 As you can see, I’m still gathering new leads and shares every single hour of every day! And it all started with a tiny one-time Facebook ad! Last December I was releasing a tool called ConnectLeads. In order to get more customers, I created a “pre-launch sequence” by releasing 3 free videos. In addition I recorded a 4th video which was to be unlocked by getting 3 friends to subscribe. 16,653 Free Email Subscribers in a highly competitive (and expensive) market! From beginners to some of the best marketers we know in the business, there are countless case-studies that have used UpViral, all with incredible success! A few weeks later we checked in on him again, and learned that he had already collected over 100,000 new subscribers – just by doing UpViral contests! 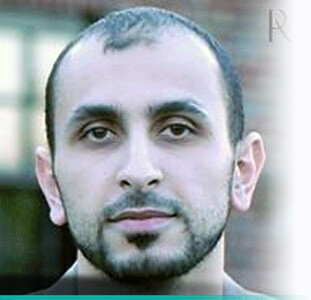 For that reason we invited him on the call to share his experience. 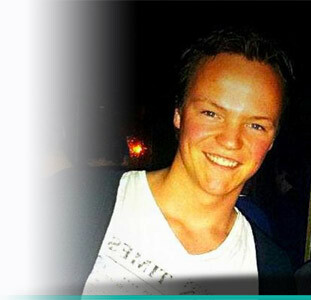 Testimonial Matthew from Wilco de Kreij on Vimeo. 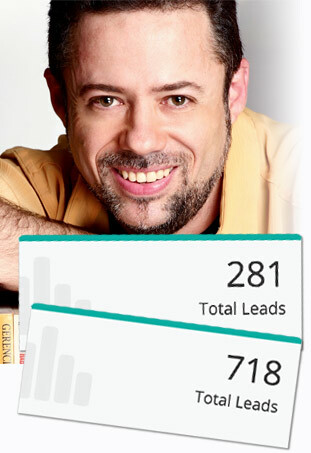 …more than 9000 leads through this tool in two weeks! 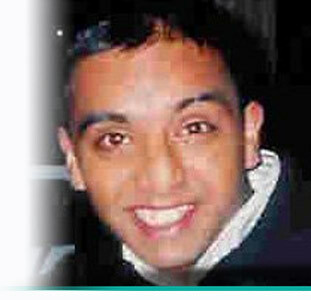 “I HAVE to tell you how impressed I am with UpViral! After I was one of your videos I decided to give it a try. 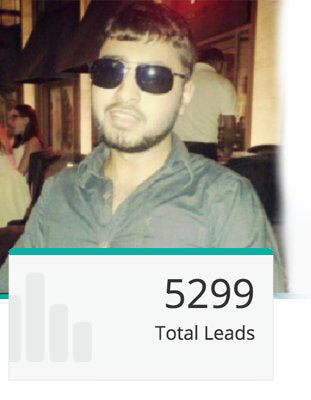 …718 leads with ONE campaign! Wow!! I’m going to focus on this to make it rise even more! “I was looking for a way to run an online contest that did not simply ‘stop’ at the first point of contact. I looked at several different systems, but they all missed the key point that UpViral did not. That is you need to encourage people to share the campaign for the benefit of all parties. If you don’t do this, there is no incentive for participants to share it and the campaign will rapidly grind to a halt. 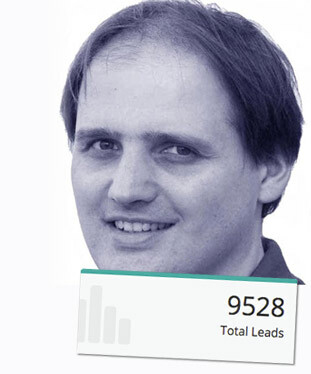 My first campaign began collecting leads straight away. Two weeks in I’m already at 500+ subscribers! 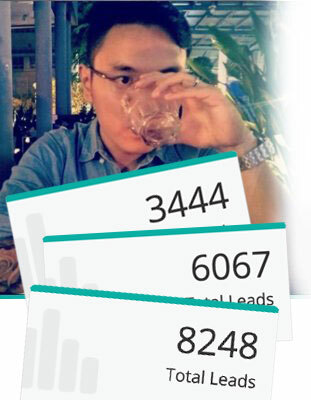 … I’ve already added 450 leads to my account. This may not seem like a lot, but I am a newbie with this and by no means a Facebook guru. Getting 450 from my small niche websites is a LOT harder, so I will definitely continue building my list using UpViral! Machine – Regardless of Budget, in Minutes! 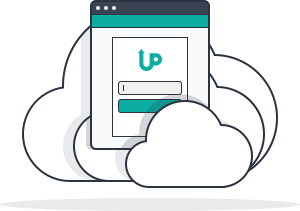 Get Instant Access To UpViral At The Lowest Price! Let’s take a peek at what’s inside your account..
Intuitive, user-friendly design that will have you creating campaigns in minutes. Best of all, with no learning curve! Dozens of customizable landing pages, graphics and more are ready to use – for virtually any market or niche. 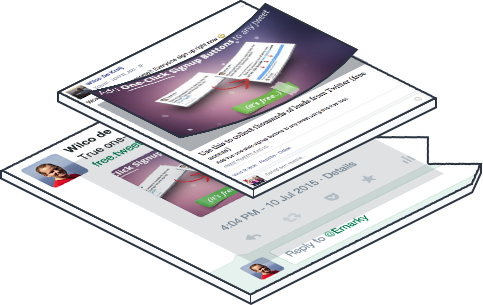 Just point and click to build winning landing pages and pop-ups… effortlessly! 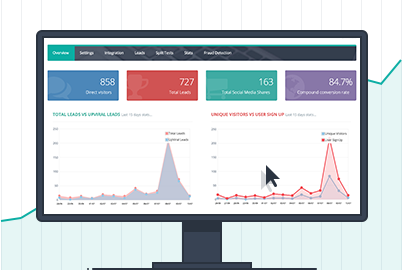 No need to overhaul your existing sites, landing pages and other tools to use UpViral. Just paste in a few snippets of code and you’re ready to rock! Auto fraud detection via cookies and IP tracking with reporting – eliminates cheating! A/B Split-testing – Remove the Guesswork! Easy data export via Excel or .csv formats! Use any custom domain for referral links! I purchased UpViral and tried it out. UpViral has easily paid for itself if I compare its results to what I would have had to pay on Facebook to get those same leads! How can you use UpViral to make more money? Do a giveaway using an ebook or digital product to generate more subscribers to your list! Run ad traffic to a lead magnet page set up with an UpViral referral system. Each lead can easily turn into 4 or 5 more free leads, reducing cost per lead by as much as 90% while increasing ROI by as much as 500%! 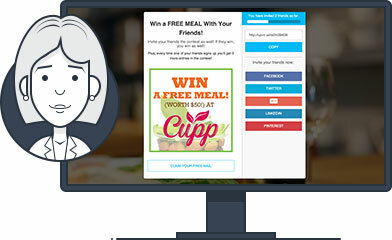 Run a contest with valuable prizes – such as discount coupons, free meals, or gift cards – to get more leads or customers. A great way to build a prospect list to send future offers! Run a promotion with a discount coupon that can be redeemed at your store! 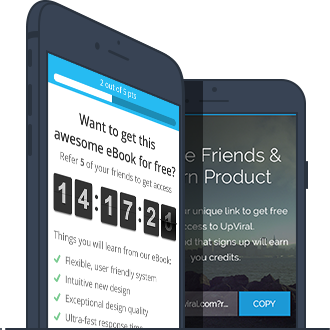 You’ll build an awesome subscriber list and get tons of new customers! …the only limit is your imagination! 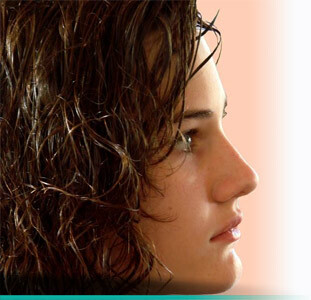 Start Getting Free, Quality and Targeted Traffic – Today. Join over 5,000 customers and start growing your business. All our Plans Come With a 30-Day Money-Back Guarantee. Ever since UpViral first went live our team has been working around the clock on adding new features and possibilities for our customers. Because of the immense value we’ve been adding, we’ve increased the price numerous times already. And we’re planning on increasing it even more. So make sure to get in at the current low price before the price increases. Once you’re in, you’ll be grandfathered in the current low price so you’ll never have to worry about paying the higher price later on. Take advantage of this outstanding value and save big money in the long term! cover the cost of your license, while paying for itself many times over. “The great thing is that Wilco is committed to make this software the best in the business and he listens to all our feature requests and bug reports. You won’t believe the improvements he made the last few months. “Ever wondered how all the big companies have huge lists that makes them money? Because they have the tools which cost in thousands to develop! But thanks to Wilco, even guys like me can start building huge lists! If you’re an experienced marketer or just starting out you know the money in the list., which now got a whole lot easier. 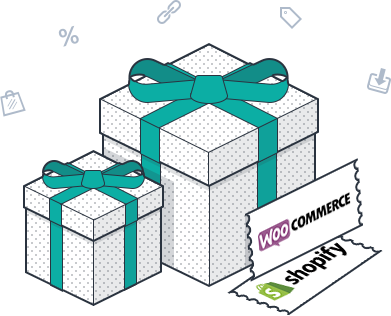 With this web based application you will be building your list on steroids! I really like the beautiful user interface dashboard and the solid support behind UpViral. Highly recommended! 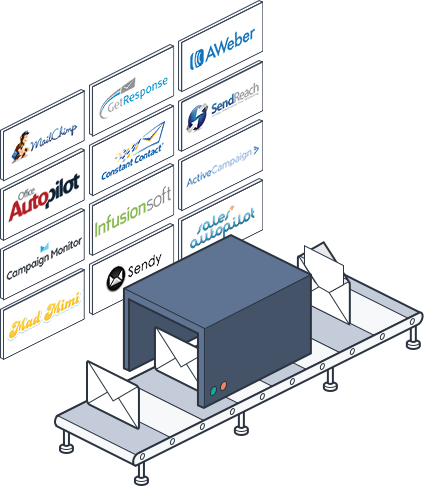 “UpViral empowers every company to grow their user base and revenue without additional ad spend. By turning your users into referral partners you create a viral loop where each new lead can turn into 2 and so on and so forth. 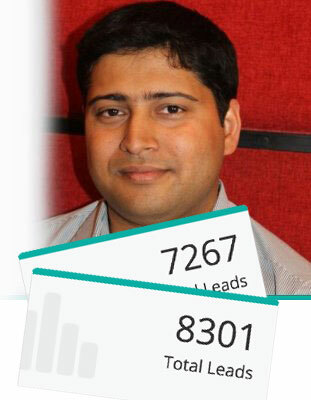 …740+ leads in just 2 weeks (all organic!) with a 289.2% compound conversion rate! UpViral for Years to Come! We’re making UpViral THE major player in the industry! That’s why we constantly create more incredible features, capabilities, templates, and new ways for you to profit. 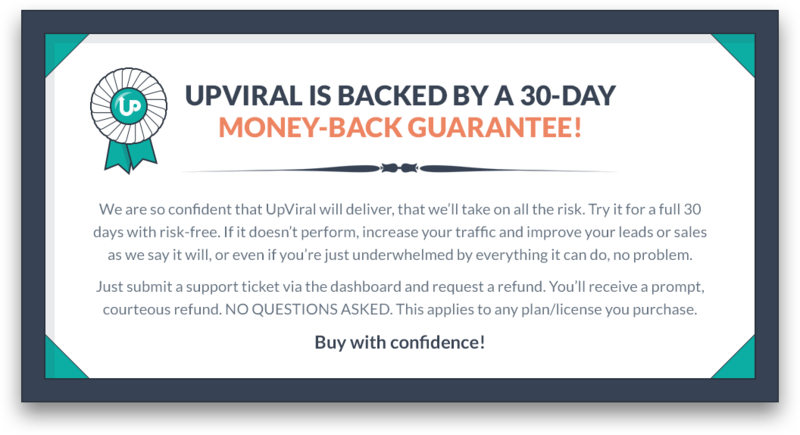 So, you only pay once, but we will continue to do everything we can to maximize your investment in UpViral! These 5 Exclusive FREE Bonuses! 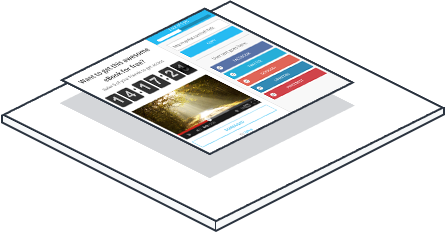 Get the most from UpViral with our premium 12-video training series. Hosted by UpViral’s founder and creator, all 12 lessons are stuffed with gold nuggets designed to save you time and money by giving you the powerful tools you need to maximize your campaigns! This is an intensive training program you don’t want to miss! 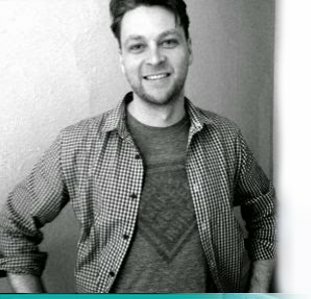 This bonus arms you with two thorough case study breakdowns straight from Wilco, the founder of UpViral. 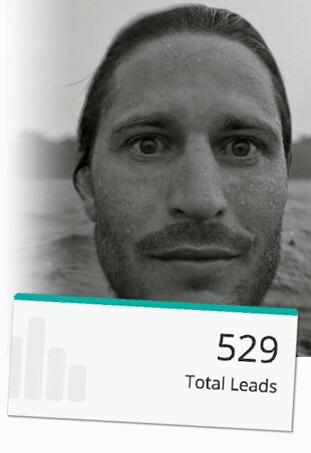 In the first impressive campaign, Wilco generated over 300,000 visitors and 13,000 subscribers! In this campaign, Wilco got 70,000 visitors and 16,000 subscribers! 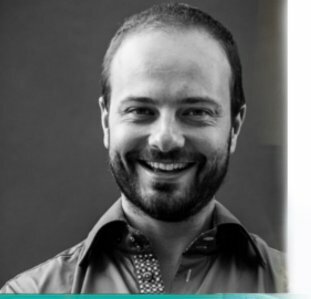 Note: Both of these successes were in the IM niche, the most highly competitive and expensive market on the web…He’ll tell you exactly how he did it so you too can leverage his strategies to generate leads in whatever niche you choose! 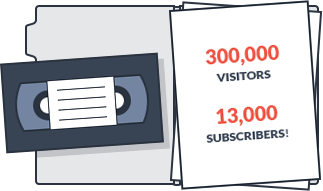 You’ll also get access to an exclusive 30-minute interview of one customer who used UpViral to accumulate 100,000+ email subscribers within 30 days! He shares the steps he took to do it with you here, so you can get off to a running start and report similar results when you use UpViral to market your business! 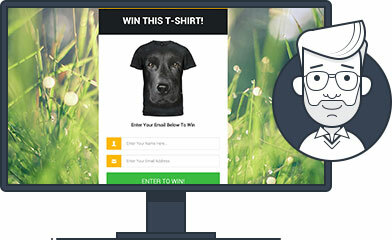 Making your contests and giveaways go wildly viral requires the right incentives or prizes. That’s exactly what we’ll be covering in this detailed visual guide. 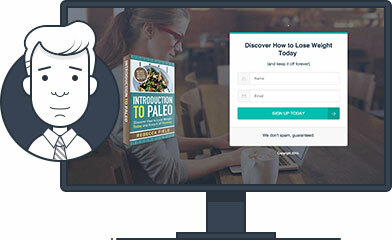 You’ll learn exactly what to give away for maximum results – with various practical examples that work across every niche and market you can imagine! … and we’ve got you covered! Through experience we’ve carefully selected a list of 100 ways to drive instant traffic and leads to your contests & giveaways – for free! NOTE: These bonuses are only available for a limited time. You wouldn’t be here right now. UpViral combines the world’s oldest, most efficient marketing secret with the automated tech tools you need to put it on autopilot! And with our 100% guarantee, what could you possibly have to lose? Can I use UpViral to run contests? Yes, you can! Using UpViral you can easily run powerful (and viral) contests in which you decide how users can win. For example, you can let them earn extra entries in the contest by getting their friends to sign up. UpViral is fully optimized to handle every aspect of your contest – so if that’s what you’re looking for.. Look no further. Can I use UpViral to run viral giveaways? Yes, you can! 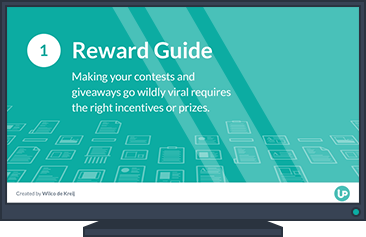 Using UpViral you can easily run viral giveaways in which you’re giving your audience an incentive to share with their friends. For example, you could upload a file, add a secured link or enter a coupon – and make that available to those who get at least 5 (or 10, or 13, or, …) of their friends to sign up. 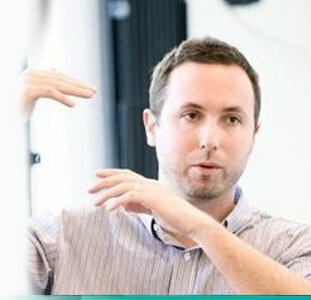 Can I integrate UpViral into my own tools? 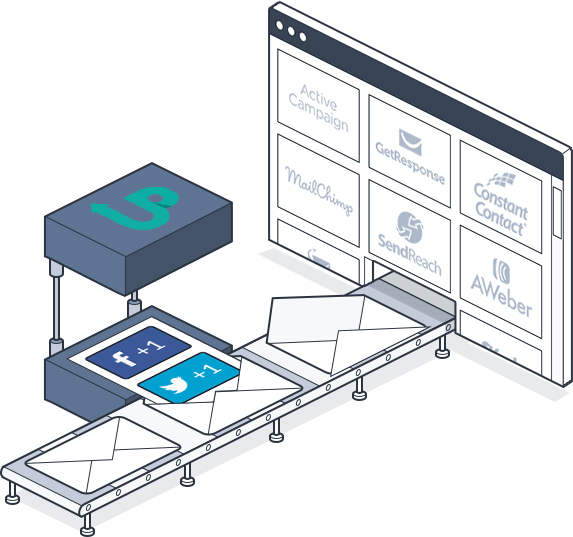 We’ve made it so that UpViral can be integrated into almost every tool, as long as that tool has a place where your audience enters their email address. So for example, if you have an lead-page or opt-in box in your sidebar, you could plug UpViral right into that in just a few minutes, adding a viral layer on top of your site. And in the rare case that it’s not working, we’ll do whatever we can do make it work for you – because we want to make UpViral compatible with as many tools as possible! Can I use my own domain for the referral links? Yes, you can! You can add any of your own domains, which we’ll then use for the referral links and your campaign pages. We’ll still host it for you, of course! What if I have any feature requests? In that case, please send them over! In the members area you’ll find a section designed for exactly that – so we can gather all our customers’ ideas in order to keep making UpViral better and better. Can UpViral be translated in other languages? Yes! We’ve made it so that every aspect of what’s visible to your audience (the opt-in pages, sharing pages, emails, etc) is 100% customizable, so you can use it in any language you want. What's your commitment to UpViral? We’re on a mission to make this the viral referral platform worldwide – and we don’t take that lightly. Expect major updates once you’re a member! Feel free to contact us at [email protected] in case you have any questions!